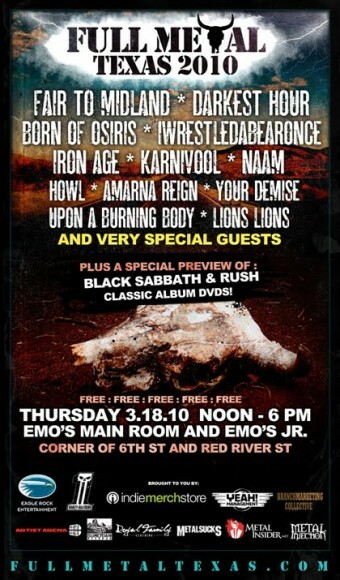 Full Metal Texas has announced its metal-centric SXSW party for 2010. So far, the lineup includes Fair to Midland, Darkest Hour, Iron Age, Karnivool and more. The party is free with RSVP at the Full Metal Texas site.